In February 1989, I arranged for Don Schmitt and me to meet with Bill Brazel Jr. in Carrizozo, New Mexico (seen below, me, Bill Brazel and Don Schmitt), to discuss his memories of picking up fragments of debris from an alien spacecraft crash. I fully ex pected to learn that the testimony that had been attributed to him by others to be inaccurate and nowhere nearly as spectacular as reported. To my surprise, he confirmed that he had picked up the debris, which he described in terms that suggested something other than the terrestrial, that he had kept that debris in a cigar box that suggested there wasn’t much of it and it wasn’t very large, and that, finally, Air Force officers and enlisted men from the Roswell Army Air Field eventually visited him and confiscated it. The substance of that interview was reported first in UFO Crash at Roswell and later in The Truth about the UFO Crash at Roswell. There is one line in that interview that sparked controversy in the early 1990s. Brazel, in describing what happened to the material, said, "I still am not really sure, but I’m almost positive that the officer in charge, his name was Armstrong. A real nice guy. Now he had a sergeant with him that was real nice. And I think there were two other enlisted men." Stan Friedman used the same testimony in his Crash at Corona. Though he does not provide attribution, it is clear that he is quoting from the interview that Don Schmitt and I had conducted. Friedman wrote that Brazel said, "I’m almost positive that the officer in charge, his name was Armstrong. A real nice guy. Now he had a [black] sergeant with him that was real nice. And I think there were two other enlisted men. In other ways it [Crash at Corona] is a flawed and disturbing work, an object lesson in the consequences of uncritical claimant-advocacy. The most chilling example of this appears on page 85 [hardback] where we find these words attributed to Bill Brazel, son of Mac [sic] Brazel, the rancher who discovered the debris. 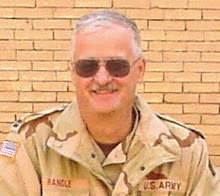 Brazel reports four Air Force men called on him after learning that he had kept some of the material. One was an officer named Armstrong. "He had a [black] sergeant with him,’ the book reports, quoting Brazel. The same quote, taken from the same interview (conducted by Randle and Schmitt), appears on page 130 [paperback] of UFO Crash at Roswell, but without the bracketed word. Brackets are placed inside quotes when a writer or editor wishes to clarify meaning or insert commentary or correction. Brackets are not supposed to be used, as they are here in the Friedman/Berliner book, to put words into someone’s mouth - especially when those words state something contrary to fact. Not only has Brazel never said the sergeant was black, he emphatically denies it. So why the adjective between brackets? The answer is simple: To make Brazel’s testimony conform to [Gerald] Anderson’s. Anderson already knew of Armstrong and the sergeant from his reading of the Roswell literature. All Anderson did was to add a detail about the sergeant’s racial identity. By dropping in a bracketed word, which not only fails to elucidate but actively misrepresents Brazel’s testimony, Crash at Corona creates corroboration for Anderson’s story where none existed. Why bring this up now, you might ask. It was discussed in the July/August 1992 issue of the International UFO Reporter. Simply because the issue has been raised again. Italian UFO researcher, Paolo Martinuz, who has been following the Roswell case for years and who is completing his own book about it, wrote to Friedman, asking him about the bracketed word. According to the information I received from Martinuz, he asked Friedman (through email), "In the book "Crash at Corona" in the interview to Bill Brazel it’s quoted an important note during the talk of Brazel with Armstrong: He had a (black) sergeant with him. Why "black" is between brackets. Really Brazel said that the sergeant was "black"? Friedman said, "He said... [it begins with an N and is a racially charged word]. I didn’t want to use the word." This revelation surprised me since I had conducted the interview. After the original controversy erupted, I called Bill Brazel on December 5, 1992 to ask about it, and I recorded the interview (as I had the first). I said to him, "I’ve got one quick question for you if you don’t mind...Remember when we brought Don Berliner by? He’s now saying that you said the sergeant with Captain Armstrong was black." Brazel said, "No. I didn’t say that. Cause it ain’t right." "I just wanted to clarify that situation," I said. "To my recollection anyway, that’s not right. I don’t think there was any colored people in the whole contingent." One point to note here is that Don Berliner did have an opportunity to interview Bill Brazel in person and that was why I mentioned Berliner to Brazel. But Don Schmitt and I took Berliner to meet Brazel in his home and both Schmitt and I were present at that interview. Had the word come up then, we would have heard it and I certainly would have remembered it, especially in 1992. That was the reason I called Bill Brazel, to get him on tape about the use of the word black... no where had anyone suggested anything else. So now the question becomes, why, after all these years do we have a new reason for the bracketed word? One that we can demonstrate is inaccurate based on the original 1989 interview, and confirmed by the 1992 interview. And yes, I listened to both tapes again to be sure of these points and I will note that Brazel did use the outdated and possibly offensive "colored" but he didn’t use the more racially charged term and, in fact, I never heard him say anything like that in all my discussions with him. I emailed Friedman about this, providing him with a copy of the original article and asking if he had a comment. He wrote back that Don Berliner remembered the incident the same way he did. I take this to mean that Berliner remembered that Brazel had used the racially charged word and they had simply substituted the more acceptable term. So I emailed Don Berliner about this, outlining, briefly what the controversy was about, meaning the insertion of the word into the interview that Schmitt and I conducted and this new allegation that Bill Brazel had used a very derogatory term. Berliner wrote a brief note back and said, "I have spent very little time on Roswell matters in the past 15 years, and have no clear memory of what you and Stan are discussing." The bottom line here is still that Brazel never used the word in my presence, never suggested that any of the soldiers who visited were black and, in fact, denied it, all on tape. I have both tapes and can prove that Brazel didn’t say it. There is no proof available that he did, and he, in fact, denies it. I could say that we’re back to needing a reason to insert the word into the interview, but I think the reason is clear. Jerry Clark explained it. What I don’t know is why we have this latest version for doing that. Bill Brazel never said it and it should not have been included. It merely adds to the already confused picture of the Roswell case and that we don’t need. Some things just never change. We have been bombarded for years by the idea that Project Mogul was so highly classified that even the men who worked on it didn’t know the name. I’ve argued that while the purpose was classified, the equipment wasn’t so the men at Roswell should have been able to identify for what it was, that is, weather balloons and radar targets. And now I learn that some of these assumptions simply aren’t true. 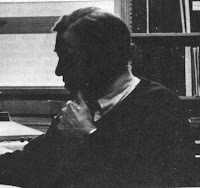 In Karl Pflock’s anti-Roswell book, Roswell: Inconvenient Facts and the Will to Believe, we learn, on page 145, that Charles Moore (Seen here), one of the project engineers, didn’t even know the name of the project until 1992 when Robert Todd told him. It makes it sound as if Mogul was quite important and that it was so highly classified that it’s not surprising that the officers and men at Roswell didn’t know a thing about it. I have reported, in the past, that Moore told me that he, along with a couple of others traveled from Alamogordo to Roswell to ask for assistance in tracking the balloon arrays. This would mean that there were officers and men at Roswell who did know about the project and what it was. And given the way the military works, at least one of those officers would have also been involved in the recovery on the Foster (Brazel) ranch and would have identified it. And even if that wasn’t true, we also know that the Mogul people were required to issue NOTAMs, that is, Notices to Airmen, about the launches so that had this been what had been found, one of the men, probably the operations officer, would have suggested that the debris was actually one of these balloons, had it been. Now we have even more evidence about this. 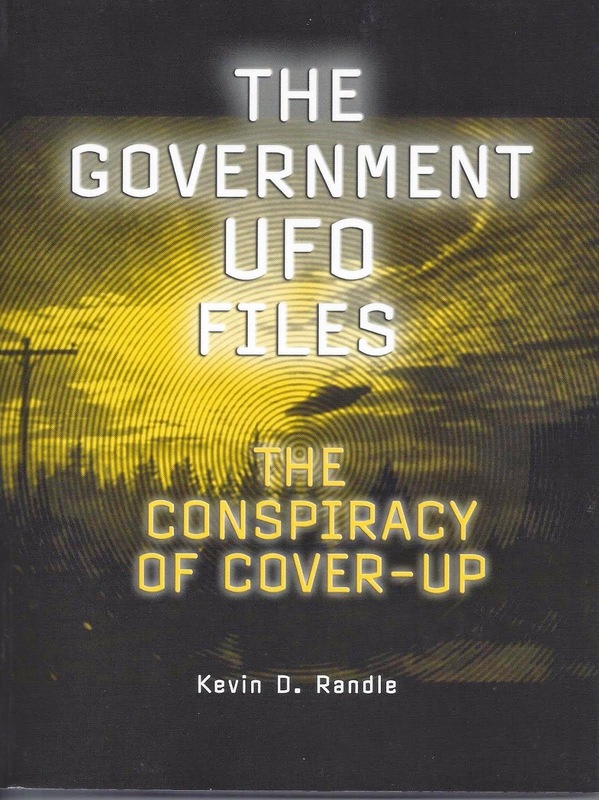 Writing on Errol Bruce Knapp’s UFO UpDates, Brad Sparks tells us that Moore knew the name of the project long before Robert Todd told him what it was. Sparks gives us a look at a letter that was written in 1949, which was unclassified and which mentions Project Mogul by name. So, even the name of the Project was not classified. In the letter, d ated May 12, 1949, Robert B. McLaughlin is describing, for James A. Van Allen (seen here), that C. B. Moore, yes, our Charles Moore, who he was. He then writes, "In addition to this, he had been head of Project Mogul for the Air Force." I suppose you could say that Moore was unaware of the letter but according to Brad Sparks, Moore had received a courtesy copy and the copy that Sparks reproduced came from Moore’s own files. So, it would seem that Moore knew the name long before Robert Todd told him what it was. Even more impressive, are the diary notes written by Dr. Albert Crary, chief of the project and reproduced by the Air Force in their massive The Roswell Report released in 1995. In Section 17, Journal Transcripts, Albert P. Crary, April 2 1946 - May 8, 1946 and December 2, 1946 - August 16, 1947, we can see that on December 11, 1946... "Equipment from Johns Hopkins Unicersity (sic) transferred to MOGUL plane..."
I’ve seen Jesse Marcel, Sr., the air intelligence officer at Roswell called a liar and worse over just these sorts of things. We can now document that Moore knew the name even as he insisted that neither he nor any of the others knew it in 1947. Clearly that statement is not accurate. What we learn from all this is that even the name wasn’t all that important. While the ultimate purpose might have been classified, it is quite clear that not even the name was. 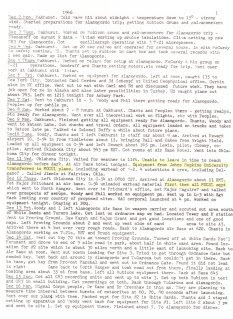 Crary puts in it his diary and then McLaughlin writes about it in an unclassified letter, of which Moore has a copy. So, once again, we can ask the question... How is it that these balloons, which were not classified, in a project with an unclassified name, could be mistaken for something extraterrestrial? The simple answer is, "They couldn’t." And now we have more evidence that the situation in 1947 is not what we have been told by the Air Force and others. That makes Mogul and even less likely answer. I first became aware of the story of Oliver Lerch as I was studying the strange case of the Allende Letters. These documents, or letters, including an annotated copy of Morris K. Jessup’s The Case for the UFO, arrived at the Office of Naval Research in the mid-1950s. The letters were thought, once, to explain some of the mysteries of the UFO phenomena, and, according to legend, were taken seriously by the Naval officers who saw them. Later investigations, and an admission by the man who sent them that they were a hoax, have rendered them nearly useless today, but that’s another story. Such is not exactly the case for Jessup’s book about UFOs. 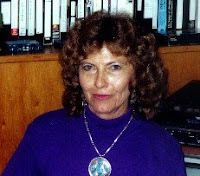 Jessup was trained as an astronomer and wrote one of the many books about UFOs that entered into national distribution in the mid-1950s. In that book, he discussed strange disappearances, and one of those he wrote about was that of Oliver Lerch. He claimed it was real and the details of the disappearance were written down in the records of the South Bend, Indiana, Police Department for anyone who cared to check. With that sort of documentation this is one of the best of the mysterious disappearances that have been reported over the years. According to Jessup’s version, Oliver Lerch, the twenty-year-old son of Thomas Lerch, had been sent out to draw water from the well because “throats were parched from singing” on that Christmas Eve, 1890. Around ten, Oliver’s mother asked him to go out to the well for water. The day had been overcast with a light snow, according to the legend, but in the late afternoon, or early evening, the snow had ended and the clouds had blown away. All that was left was the new, white, unbroken snow to the well. Of course they all ran out, and short of the well, Oliver’s footprints stopped. One of the two buckets he had been carrying was lying off to the side. All that was left of Oliver now was his voice, quieted by distance, still yelling for help. Some claimed it came from above, suggesting that whatever it was, it could fly. Later, some would report that “they” had him, but we don’t know who “they” were either. This isn’t, however, the only version of the story that has been told over the years and I, for one, wanted to verify it. Using techniques that I had learned in college, I made a literature search, looking for anything that related to this report. I found that the boy was variously identified as Oliver Lerch, Oliver Larch, Oliver Lurch or Oliver Thomas. He was twelve, twenty, or twenty-two. The disappearance took place on Christmas Eve 1889, Christmas Day 1889, Christmas Day 1890 or Christmas Day 1909. He managed to walk through the new snow a distance of 50, 75, 90, or 225 feet before it, or they, captured him. He lived either in South Bend, Indiana or somewhere in Wales. At this point I’d done no real investigation. I’d merely completed a literature search, though I confess that the discrepancies in the various accounts were worrisome. Not of overwhelming importance at this point, but certainly suggesting that something was wrong with the tale. Since Jessup said wrote that everything was written down in the records of the South Bend Police Department, I called them. They told me that their records didn’t go back that far. There had been a fire and many of the police documents had been destroyed. They didn’t have anything prior to 1920. I called the local newspaper. Elaine Stevens of the South Bend Tribune was kind enough to search the files for me. She sent a number of articles, all of which seemed to have been generated by the publication of Jessup’s book. Sarah Lockerbie, also of the South Bend Tribune, in the 1960s, wrote an article for their Sunday magazine about the disappearance. She spoke to members of a Lerch family who still lived in South Bend hoping there might be a family tradition she could tap into. Sherman Lerch, who had lived in the area all his life, told anyone who asked, including Lockerbie that the story wasn’t true. I suppose it should be noted here that Lerch was giving this interview in the 1960s, and his father, who was also a resident of the area would have been alive at the time of the disappearance. And there were a number of other witnesses named in the various books and articles about the disappearance which allowed for additional investigation. A Methodist pastor, Samuel Mallelieu, for example, was identified as having attended the ill-fated Christmas party, but a check with various churches failed to reveal anyone by that name living in South Bend in 1889 or 1890. Another problem is that weather records for both December 1889 and December 1890 reveal that the weather was warm, with highs in the fifties and sixties. In other words, the weather was warm enough that there would be no freshly fallen snow for young Oliver and his footprints. I found nothing to suggest the story, in this form, existed prior to the publication of Jessup’s book. Joe Nickell, however, writing in Fate, contacted an earlier contributor to that magazine, Joseph Rosenberger, who had published one version of the Lerch story in September 1950. Rosenberger said that there was no truth to the story. “It was all fiction for a buck,” implying that he had invented it. Jerry Clark noted that the story actually pre-dated that when Rudolf H. Horst, who was the managing editor of the South Bend Tribune told British writer Harold T. Wilkins that the story was imaginary. Horst suggested that the story was known long before 1932, which, of course, makes you wonder about Rosenberger’s claim. Additional research showed that a story about Oliver Morton Lerch was published in 1906 in The Scrap Book. It was in this version that rather than just disappearing and his disembodied voice being heard coming from the ground, it was suggested that his voice came from above saying that “It’s got me.” It is never identified. This also seems to suggest that Rosenberger’s claim of having invented the tale for the money is not accurate. There is a similar tale in a science fiction story by Ambrose Bierce published in 1893 which might be the basis for the Lerch-Larch-Lurch-Thomas tale. In this story the victim was Charles Ashmore who lived in Quincy, Illinois and is set in November 1878. Ashmore was making a trip to the well, his tracks stopped abruptly in the fresh snow, and the family could hear him calling for help from a long distance. It was altered later, with Ashmore given a new name and moved to South Bend for some unexplained reason. Brad Steiger, in one of his many books, wrote about a variation of the tale in which Oliver Thomas, a young man living in Wales disappeared under circumstances that are remarkably similar to the American story. I called Brad to ask him about it and he told me that he had long since learned that the story was a hoax. When he learned the truth, he had tried to alert people, but sometimes they just wouldn’t listen. All this suggests to me that the story, in all its various forms is a hoax. There was no Oliver Lerch, Larch, Lurch or Thomas to leave footprints in fresh snow or to be grabbed by it. Writers just accepted that others had checked the story. Jessup claimed it was all there in South Bend for anyone who wanted to check implying that Jessup himself had checked, but Jessup was wrong. There was nothing in South Bend, other than stories of others attempting to verify the story. This is another of those tales that we can remove from our lists of the strange. I know that I sometimes wish these things were true, simply because I, like most everyone else, love a good mystery. This, however, is not one of them. I grow tired of having to repeat the same information over and over because the skeptics and the debunkers simply don’t want to hear it. Now I’m back defending Frankie Rowe (seen here) who has been called a liar fo r no reason that I can understand. She might be mistaken. She might be wrong. But she is relating the information to us as best she can. Recently, on a skeptics forum, someone wrote about Rowe asking if it wasn’t true that it had been proven that her father had not been with the Roswell Fire Department. No, it’s not true and unless you can source your information, just keep it to yourself. This is just like the news media saying, "According to published reports," without saying where those reports were published. I can say that according to published reports, Bill Clinton, while president, had meetings with alien creatures. Of course the report was published in the Weekly World News which was making it up, but it was a published report. Saying the source is a published report tells us nothing about the veracity of that report, but hey, it sounds good. 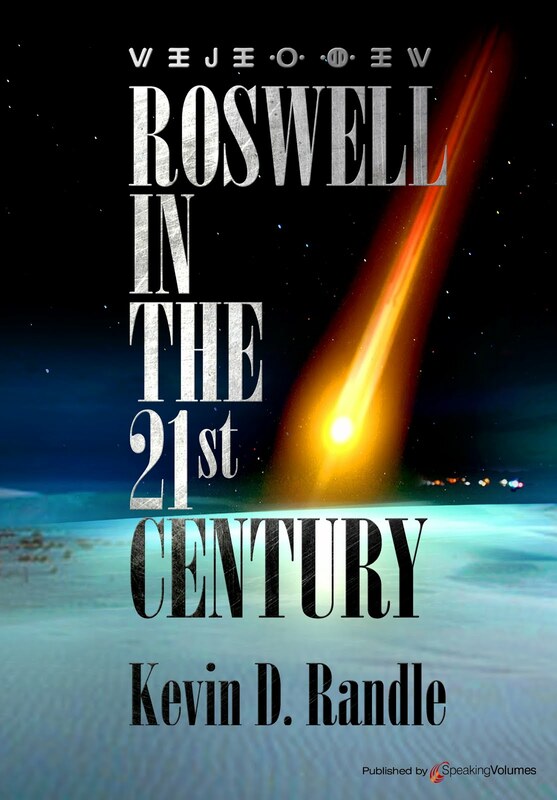 Had the skeptic wanted to know the truth rather than just hurl an accusation, he, or she, could have called the Roswell Fire Department and asked them. Or called the Roswell Library and have them look it up in the Roswell City Directory of 1947. 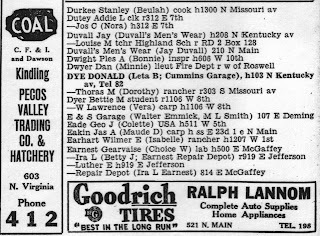 I have a copy of that Roswell City Directory (seen below) and it lists Dan Dwyer, Frankie’s father, as a lieutenant in the fire department and I have copies of the fire logs from June and July 1947 and find his name in there frequently. There is no question that Dan Dwyer was a member of the Roswell Fire Department in July 1947. On one page, we see that Dan was the officer in charge six times. On another page from late May through June 24, we see Dwyer or Dan as the officer in charge ten times. But we can take this further right now. Skeptics have complained that Frankie’s story is stand alone, meaning that no one has corroborated it. Well, her sister, Helen Cahill, did tell me that she had heard the story of the crash and the threats made against her in the early 1960s. The story was not as robust as that told by Frankie and can be explained by the simple fact that in 1947 Helen was already married and living away from home. Cahill also said that sometime in 1948, during a visit with her parents, her father (Dwyer) told her that something important had happened, but he couldn’t tell her because he was concerned about the safety of the family. Her mother, Minnie, said that Cahill’s father could tell her about it, but he was afraid that something would happen to her, Cahill, if he did. And yes, I have the signed, notarized statements in my files. But now the story takes another turn. Karl Pflock rejected Rowe’s story because he’d talked to three former fire fighters who claimed no knowledge of the events and that the Roswell Fire Department didn’t make runs outside the city limits. He knew this because Max Littell, who had been a member of the city counsel in the 1950s told him so. On June 21, 1947, according to the fire log, Pumper No. 4 made a run "out side city limit" (As seen on top entry of the Fire Record from Roswell). So, it is quite clear that Frankie’s father, Dan Dwyer was a lieutenant in the Roswell Fire Department as the documentation shows. It is quite clear that the fire department did make runs outside the city limits. Maybe the next time the skeptics will take a moment, use the Internet and find out if the allegations are warranted. Now, let’s talk about the new corroboration for Frankie... Tony Bragalia and I have been in contact with a former member of the Roswell Fire Department (and no, I’m not going to publish his name but if Christopher Allen would like it, I’ll email it to him for verification purposes - he is very old, a bit cranky and doesn’t need several dozen telephone calls). This man was interviewed by Pflock and Pflock cited him as saying the Roswell Fire Department didn’t make a run outside the city to the crash site. For Pflock, this disproved Frankie’s story. And the man told us the same thing. The fire department didn’t make a run to the crash site. But then the retired fire fighter said something else. He told us that a colonel had come out from the base and told them not to go out there. That they, the military, would handle it. I believe that Karl Pflock was an intellectually honest researcher who would have reported everything he learned rather than leaving out a critical piece of information like this, if he heard it. Once he was told that the fire department hadn’t made the run and that there was no documentation for the run, he stopped asking questions. But I asked the retired fire fighter if he knew Dwyer and learned that he did (another corroboration for Frankie Rowe). I asked about Dwyer making a run outside the city and that was when I learn ed of the "colonel" who had advised against it. I was told that they didn’t make the run. And then I was told that Dwyer (seen here with other members of the Roswell Fire Department), in his personal car did drive out to the crash site. Dwyer and not the fire department, which explains why there is no record of it and why other fire fighters didn’t remember it. The retired fire fighter was quite clear about these points. They had been visited by an officer from the base, they had been told not to go out there, and Dwyer, in his personal car, did. Does this prove the story to be true? Of course not. But it does prove that Frankie Rowe hasn’t been lying. She was telling us exactly what her father told her, what he had told her sister and what he had told his friend in the Roswell Fire Department. It undermines some of what Karl published in his book because we were using the same sources and it is clear to me that Karl just didn’t ask the right questions to find out what happened. He only asked those that verified what he believed and asked no others. Sometimes asking the next question reveals information that you don’t want to hear. Trial attorneys are well versed in not asking certain questions. Oh, one final thing. I do have the interview on tape... Tape solves many problems. When someone says I misquoted him or her, I can play the tapes. When someone challenges what I have written, I can play the tapes. More than once I have proven my point with those tapes. And here I can prove that this fire fighter said to me and said to Tony, just what I said that he did.